Meet John. He’s a 32-year old beggar who has been living on the streets for 6 years. He’s all alone. No family, no friends, and no children. He also suffers from asthma and daily chronic headaches. Do you think John cares about his passion? Do you think John is working hard to discover his passion? Definitely not. Why is that? 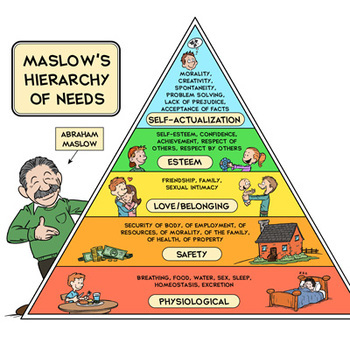 Remember the Maslow’s Hierarchy of Needs from the previous lessons? That is because his physiological, safety, belonging and esteem needs are not fulfilled yet. It’s not that John doesn’t care about his passion. Far from the truth. It’s because he doesn’t have his physiological needs of food and water checked. All he cares about is if he’s going to get food tomorrow and where he is going to sleep tonight. He doesn’t even have the energy to think about his passion. Let’s say 2 months later… John won a food lottery where he will have enough food and water for his whole life. Do you think he will go and look for his passion? Nope. Why is that? That is because he doesn’t even have his safety needs checked yet. This is the 2nd level of the triangle above physiological. Even though he has enough food and water for his whole life, he doesn’t have any money, family and he still has asthma and daily chronic headaches. John is a very lucky man. 6 months later he won a full health recovery package meaning he will be able to get his asthma and headache cured. On top of that, he even got a job at Apple as a Life Appreciation Consultant. John has a lifetime supply of food and water, he got a job at Apple and he doesn’t have any health problems anymore. Now… do you think John will start looking for his passion? Not yet. Why not? He doesn’t have any friends or any family. What do you think he will do next? You’re right. He will be out looking for friends and maybe reconnect with family members. Because John works at Apple now, he makes friends easily by just telling them “I work at Apple”. His family members now are also accepting him back into their lives. John’s life is going extremely well. Now… do you think John will start looking for his passion? Yes. You’re not a failure or is doomed to fail if you haven’t find your passion yet. There are more important things in life than finding your passion.